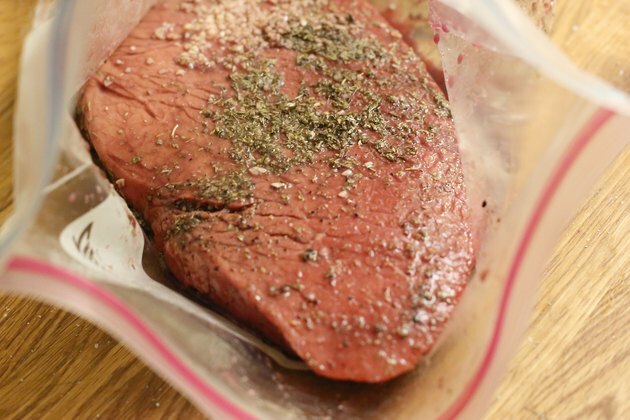 "London broil" refers to a classic dish of marinated flank steak, but that doesn't stop supermarkets from labeling any leftover tough cut of meat "London broil." 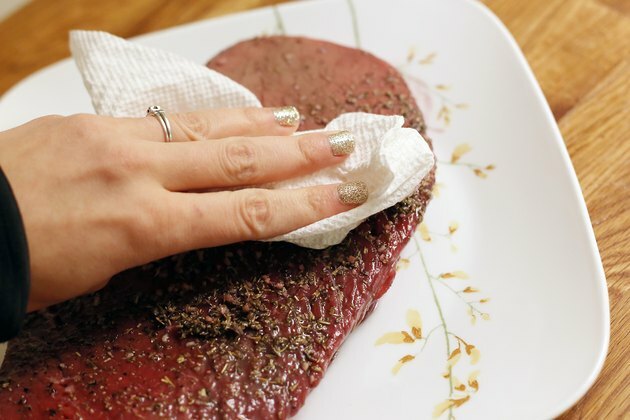 The classic London broil technique comprises marinating a flank steak in dry red wine, oil and aromatics, then grilling it and slicing it across the grain. 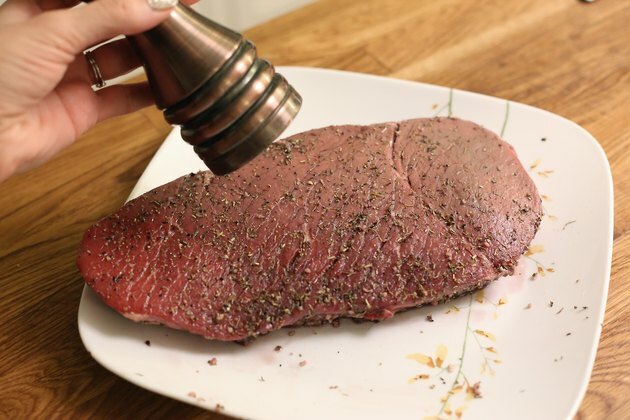 Although you can't grill a London broil indoors, you can oven-broil it -- the same as grilling, except the heat radiates from above instead of below. 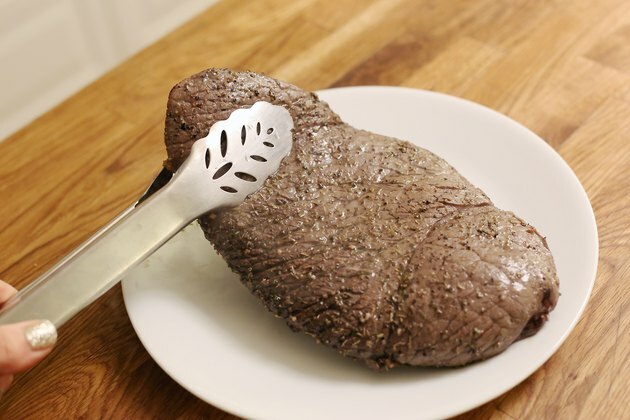 The oven makes cooking London broil to medium-rare a foolproof task, and takes a fraction of the time grilling does. 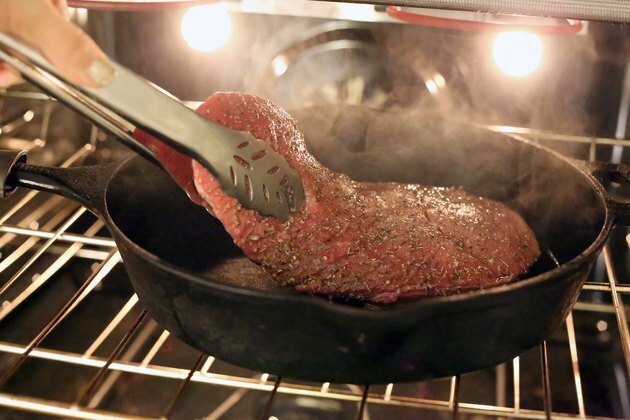 The pan will smoke when you place the steak in it, so turn on the hood fan or open a window, if needed. 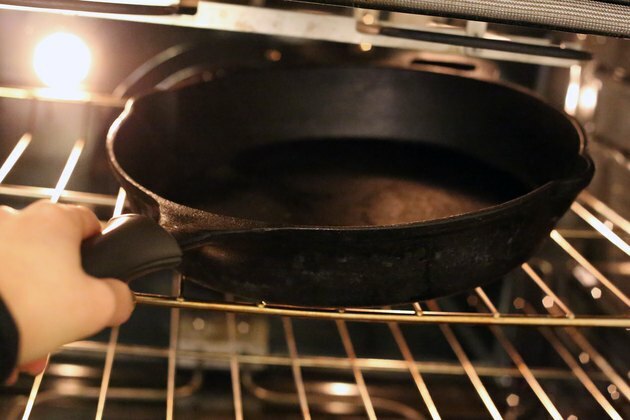 Wear a heavy oven mitt when you pull the oven rack out. 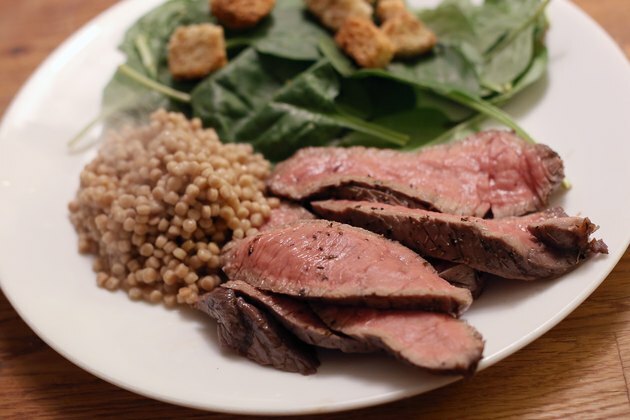 The U.S. Department of Agriculture recommends cooking beef to an internal temperature of 145 degrees Fahrenheit. 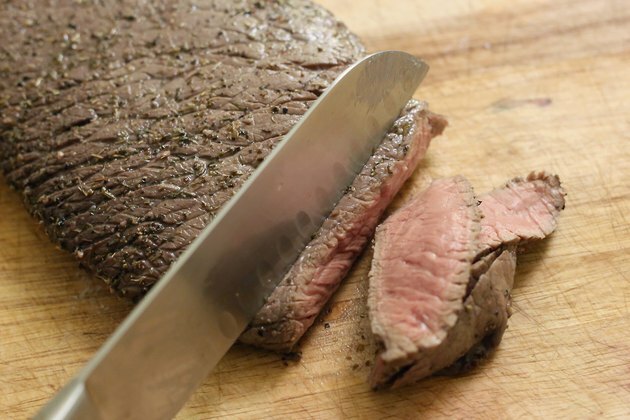 O Chef: What Are Flank Steak and Skirt Steak?